The approximately 100,000 Missourians who have unclaimed property will soon see their name in newspapers across the state. State Treasurer Eric Schmitt (R) is launching the office’s annual effort to find the owners of that unclaimed property. Schmitt’s office holds $988 million in unclaimed property for Missouri. “Most of the time it’s bank accounts or last paycheck, that’s another thing that kind of finds its way to us, safe deposit boxes,” Schmitt says. The names are being published in newspapers in all of Missouri’s 114 counties. Missouri state law requires the notices to be published in newspapers annually. You can also visit ShowMeMoney.com to see if you have unclaimed property. Schmitt says he’s trying to reconnect Missourians with their money. “It’s a good time for us to remind people not just to look for their name or a loved one or a friend in those newspapers but also, you know, online when they search showmemoney.com,” says Schmitt. 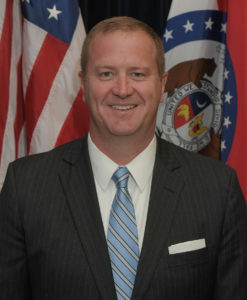 Schmitt’s office returned $45 million in unclaimed property in 2017. He notes one in ten Missourians have unclaimed property, and the average return is about $300. Schmitt says one St. Charles family last year discovered they had $3,000 in unclaimed property. He says the average processing time for claims has dropped from 14 to eight days, since he took office in 2017.